The 2016 NYS Woodsmen's Field Days are being held on August 19, 20, and 21 in Boonville, New York. The event is traditionally held the third weekend of August, rain or shine. The primary goal of the NYS Woodsmen’s Field Days is to promote the forestry industry in general, and the lumberjack in particular. 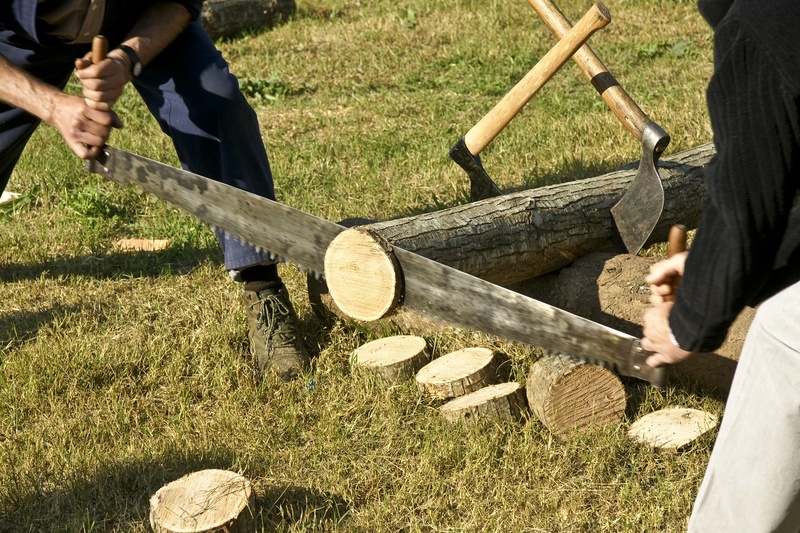 The Indian River Olde Time Lumberjack Show takes place three times a day and gives a humorous and educational glimpse into the skills, strength, and courage of the lumberjacks of yesteryear. David Jewett was the 2015 overall Lumberjack winner, Peg Engasser was the 2015 Lumberjill overall winner, and Karl Bush was the overall junior winner. On both Saturday and Sunday, there is an all you can eat breakfast, sponsored by the Masonic Temple. There are a 10K run and a 5K walk at this year's event, and t-shirts will be given to the first 250 people who register for the 10K. The 10K men’s course record is 31:53 and the women’s record is 37:32. If any male or female overall winner breaks the course record, they will receive a $100 prize. For the ladies at the show, there is the Miss Forest Queen pageant on Thursday night; for the guys, there is the Best Beard Contest on Friday evening! In addition to the great events mentioned above, the NYS Woodsmen’s Field Days is packed with even more fun events. If you can find the time, check out the fashion show, horse skidding competition, tug of war, and greased pole climbing competition. The one thing you certainly don’t want to miss is the Alliance Tire Group booth. ATG will be there along with our renowned line of Alliance and Primex forestry tires. Designed to meet the challenges facing today’s foresters and loggers, these tires are engineered to work in challenging terrain, stand up to harsh work environments, and help forestry operations work more efficiently and productively. If you can’t make it to our booth at the NYS Woodsmen’s Field Days, look for us at events throughout the fall or contact your ATG dealer today! Want to learn more about ATG's Primex forestry tires? Great, ask about them below. We would love to get in touch with you.